Shigeru Miyamoto is a pretty talented guy but in a recent interview he said that the videogame industry has become so competitive that if he applied for a job at Nintendo today, he probably wouldn't get hired. You likely know who Shigeru Miyamoto is and if for some reason you don't, you definitely know his work. 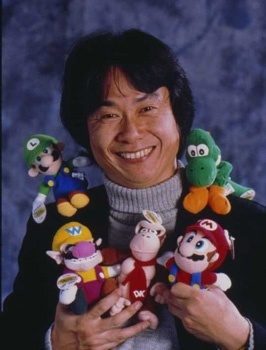 Miyamoto is one of the most famous and prolific videogame designers of all time, credited with designing or producing an unprecedented string of hits from Donkey Kong to Wii Fit. But things are a bit different now than they were when he signed on in with Nintendo in 1977 and in today's highly competitive job market, he doubts he'd even get hired in the first place. "Nintendo has become one of those companies that graduates from colleges and good universities really want to work for," Miyamoto said in the most recent issue of Edge. "Because of that, the competition's really become so fierce for positions. And that means that a lot of the recent recruits for Nintendo have tended to have the higher degree from the prestigious colleges and universities and whatnot." "I often say to [Nintendo President and CEO] Mr. Iwata: 'If I was applying for a job here today, I, with my actual college degree, would probably not have been employed by Nintendo!'" he added. As a result, Miyamoto said that he's begun involving himself in the hiring process in order to help the company avoid missing out on talented applicants who may not bring a pile of fancy degrees to the table. "I might pick up on them and try to find out something really different within them which you can't judge just by a college degree," he said. "That's one of the special little jobs I set myself."